Who are these mystery people? Your youngster will have fun digging for the clues to each identity. 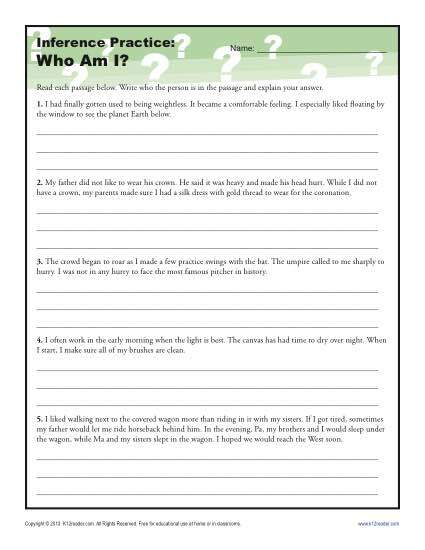 The worksheet is a great way to practice Common Core Standards for Reading Literature or Reading Informational Text for 4th and 5th grades. Other students may also use it as needed.